Very Good. 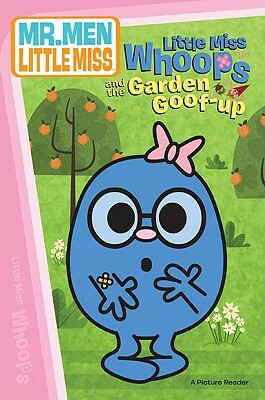 Little Miss Whoops and the Garden Goof-Up (Mr. Men and Little Miss) by Penguin Group USA, 2009-05-28. Trade paperback (US). Glued binding. Picture book. 32 p. Contains: Illustrations, color. Mr. Men and Little Miss. Intended for a juvenile audience. Like New. 2009. Paperback. Small publisher's mark on bottom of text block. Otherwise, Fine.